Hot feet? If you hear a sweaty squishing sound when you step, you certainly aren't wearing men's KEEN Utility 1006979 Atlanta Cool steel toe ESD work shoes. When you want to stay safe, it doesn't mean that your feet have to stay smothered with heavy materials. You ... (see full details) (see specifications) #KEN1006979. Hot feet? If you hear a sweaty squishing sound when you step, you certainly aren't wearing men's KEEN Utility 1006979 Atlanta Cool steel toe ESD work shoes. When you want to stay safe, it doesn't mean that your feet have to stay smothered with heavy materials. You can put them inside these men's shoes instead. This footwear is designed with an athletic style and low-cut design to feel cool and comforting even in hot, sweaty environments. A combination of flexible, durable leather and textile fabric create the stylish, lightweight design. Suede is known for its softness, and you'll have the chance to appreciate its toughness, too. Suede stands up to wear and tear, and it stays flexible even in harsh weather conditions. The fabric of these steel toe shoes releases heat. Heat ventilates outward, cool air flows in, and your skin stays a lot less sweaty. The lining of these Atlanta Cool shoes consists of a mesh with a hydrophobic mesh design that actually repels water for evaporation to keep you feeling drier. Mesh construction continues to keep the entire design breathable. The uppers of this footwear won't trap heat, and neither will the lining. Keep these ESD shoes snugly around your feet with the secure fit lace capture system, which prevents loose laces to keep you safer. Reflective webbing surrounds the entire design to add more safety yet. It lights up in darkness to make you more visible, and that makes it easier for danger to avoid you. Anatomically-engineered Metatomical footbeds keep your steps softened when you wear these gray shoes. The footbeds give you arch support to cradle and cushion every step. Remove the footbeds any time to get rid of the odor. To add even more softness, dual-density molded midsoles create lightweight cushioning. The soft EVA foam, compression-molded right into each of these safety toe shoes, gives you two layers of shock-absorbing softness. Torsion stability ESS shanks and shock-resistant rubber outsoles give your feet support when you wear these KEEN Utility shoes. The shanks keep your arches lifted to prevent muscle strain. The outsoles absorb force before it hits your steps. The non-marking rubber is slip-resistant to improve your grip and oil-resistant to stay tough against corrosive chemicals. These soles are also rated for F2413-11 I/75 C/75 ESD wear. They’re electrostatic dissipative, and that means these oil-resistant shoes won’t collect dangerous static energy. Left and right asymmetrical steel toes follow the natural slope of your feet to protect you from impact and compression. The steel toes meet ASTM F2412-11 safety standards to keep your feet well-guarded in all work environments when you wear these premium shoes. The roomy asymmetrical design gives your feet plenty of moving room for a more comfortable fit. Feet shouldn’t be hot, and they shouldn’t be in danger. They should be in these KEEN Utility Men's 1006979 Grey ESD Steel Toe Atlanta Shoes. Go ahead and order your pair from the Working Person's Store today. I walk between 6-8 miles a day on concrete and these shoes are comfortable wearing all day. The pull shoelaces with the locking tab make it almost as easy as a slip on but will hold the shoe tight to your foot. They don't quite have the same cushion as the timberland steel toe shoe but I like the style and comfort enough to order a second pair. Just purchased my third pair in 3 years. I highly recommend if you do a lot of walking as they are very cushioned but still recommend inserts. They are not water proof. They are great in the summer as the mesh sides do allow air flow. I can imagine extra socks in the winter. I will continue to buy these shoes. These are by far the most comfortable steel toe shoe I have ever owned! I wear them at work as well as during the weekends. They slip on and off very easy. I've had this pair for two years and they are in great shape. But I would expect nothing less from the Keen name! My next pair will definitely be the same brand if not the same shoe. I'm very pleased with these boots. They are a great alternative to clunky, heavy steel toed boots. They are lightweight, comfortable, and durable. 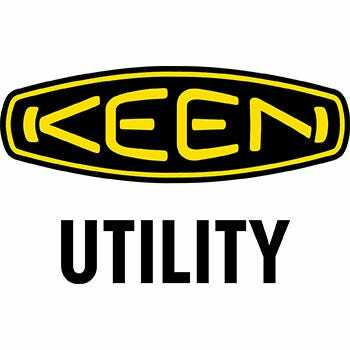 Can't beat Keen for quality. I like the look of tennis shoes, but they're work boot safe. These Keen shoes are great and I really like them. They are comfortable to wear all day long. I work in a manufacturing plant and for the most part, there is no issue with them. The only thing is if you walk on a computer floor or a waxed tile floor, they tend to squeak a little. Other than that, they are a great safety shoe. KEEN Utility 1006979 Men's Atlanta Cool ESD Steel Toe Shoes is being added to your cart.